Difficulty: Easy. Fine for kids. Highlights: When most people think of Briones Regional Park they think of rolling hills with a huge network of fire roads to hike or bike on. But the Bear Creek Trail offers one of the few “single track” trails that winds through a more woodsy and shaded part of the park. This is very pleasant trail that anyone can enjoy that reaches a scenic picnic area for a lunch or dinner stop. Directions: From Lafayette take Happy Valley Road up over the hill to Bear Creek Road. Take a right and then another right into the Bear Creek Staging Area. From Orinda take Camino Pablo north towards San Pablo Dam Road. Take a right on Bear Creek Road and go five miles to the Bear Creek Staging Area. Drive into the park – staying to the right – and park in the large gravel lot at the end of the road. 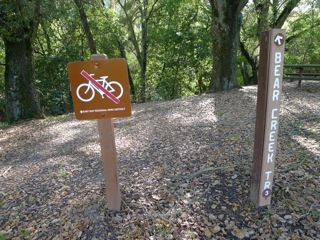 Trailhead: After you’ve parked then backtrack to the picnic area until you see the Bear Creek Trail sign (see picture). 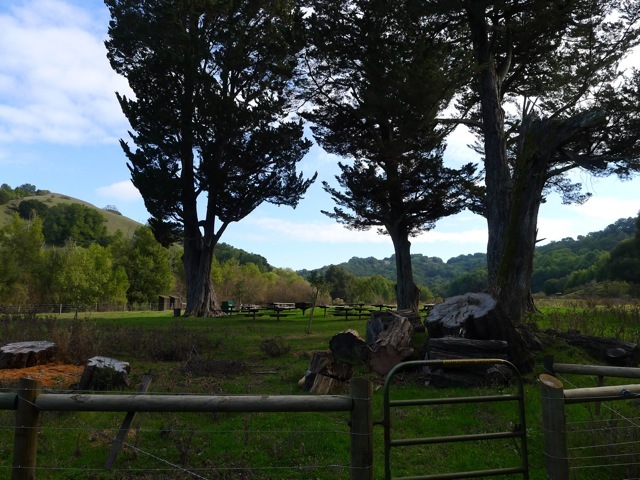 Briones Regional Park is a huge, uncrowded park with 6,256 acres of parkland for recreation. The land was originally part of Rancho Boca de la Canada del Pinole (rancho at the mouth of Pinole Canyon), popularly known as Rancho San Felipe and later Rancho Briones. In 1829 Felipe Briones built a home near the Bear Creek entrance, cultivating the land and raising cattle. Cattle grazing has been the major land use in the Bear Creek watershed ever since. From the picnic area, the Bear Creek trail descends down to the creek. This is a nice spot to pause for a few minutes. You might wonder how the creek got its name. 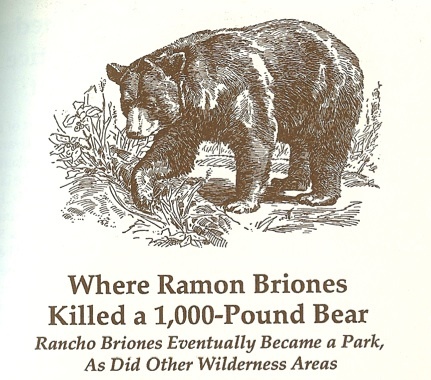 The name came from a 1000-pound bear shot by Ramon Briones, near Bear Creek Falls, in 1897 (see photo). This was the largest bear killed in Contra Costa County. Bears used to inhabit this area, especially the foothills of Mt. Diablo. From the creek you will ascend into a forest of mostly California Bay Laurel trees – a cousin of the Mediterranean Bay tree whose leaves are used in cooking. 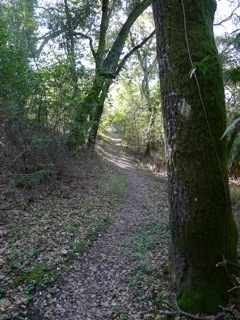 Bear Creek’s banks are also lined with coast live oak, willow, madrone, and big leaf maple. The trail winds along the side of the hill, above the creek, heading east. 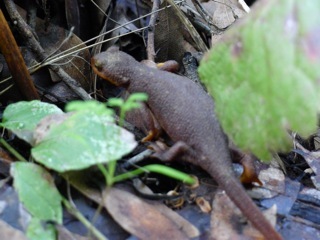 In the spring you might spot a California newt near the trail. This tiny amphibian thrives in Briones around Bear Creek. It spends most of its time living in burrows and holes. But once year, the newts make an epic migration (at least for them) to nearby ponds for mating season. I happened to spot one in February (see photo). After about a mile you will reach a group camping site called Homestead Valley. This is a great spot to hang out and have a snack or lunch, especially with kids… or maybe a picnic dinner in the summer. When you depart this clearing you will cross a little seasonal stream and reach the Seaborg Trail. For a two-mile loop take a left and then another left at the three-way junction to head back to the staging area. For a longer 5-mile loop, take a right on the Seaborg Trail. After a little ways you will start climbing into the hills and will reach the Briones Crest Trail. 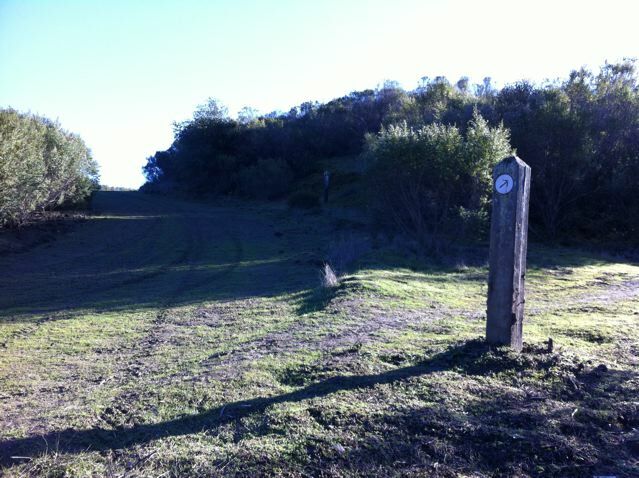 The Briones Crest Trail is the spine of the park and offers great views of Mt. Diablo, etc. About a half mile later you will reach the Crescent Ridge Trail. Take a left and descend back down into the valley. You will pass an archery range, which is a lot of fun with kids if you have access to some bows and arrows. There is a course very much like a 9 hole golf course. After passing the archery range, you will reach a three-way junction with Seaborg Trail. Stay right and you will end up back at the staging area. 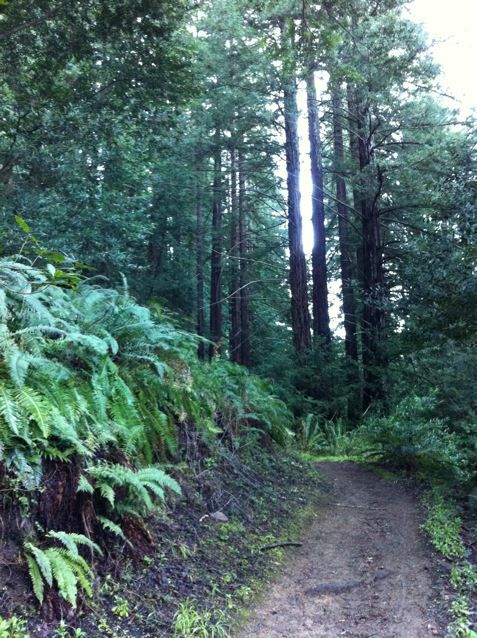 Highlights: This is the fastest access to redwood trees from the Lamorinda area and crosses two undisturbed streams. After hiking from the Valley Vista staging area (south of Moraga) back into the Canyon, you hike up through a nice redwood forest until reaching East Ridge trail in Redwood Park where you turn around. Directions: Drive to Moraga. Take Canyon Road until you see the Valle Vista Staging Area on your left. Park. 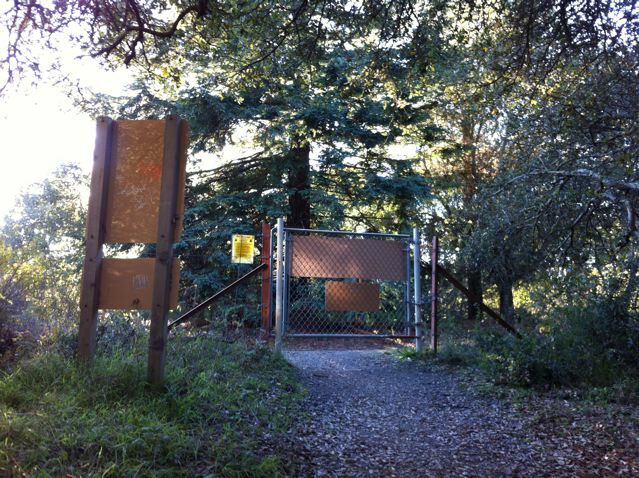 Trailhead: You will see a gate and a sign in kiosk where you enter your EBMUD permit info. Take the trail to the right. 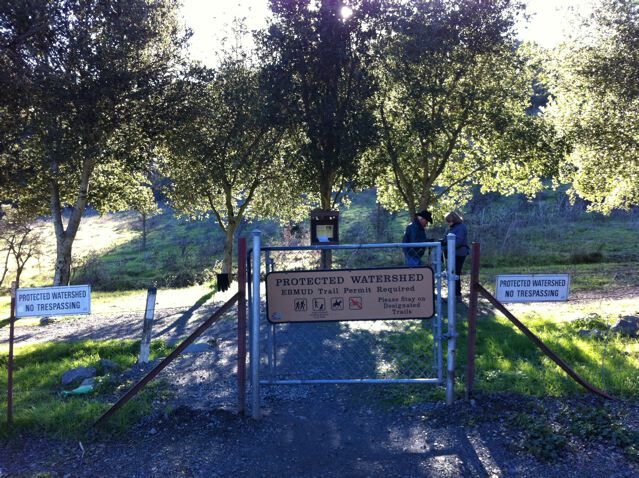 Redwood Trail entry gate – sign in and take a right. Follow the dirt road to the right up a steep hill. You will see a foot trail branch off to the right. That is the way you want to go. The fairly level trail winds along the side of the hill back into the canyon before dropping down into the redwood trees. You’ll cross Indian Creek, which is worth stopping for a minute to admire, before reaching a gate. Cross the street to the gate on the south side of Pinehurst Road. 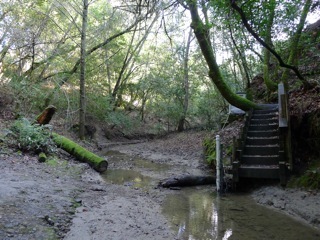 Now you’ll cross San Leandro Creek before winding steadily up through redwoods and ferns. 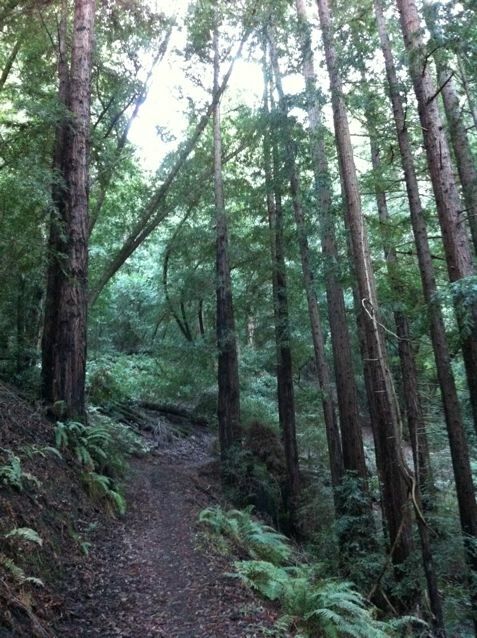 Stop for a second and realize that you’re hiking in a redwood forest within 20 minutes of your home! We are incredibly lucky to live so near these majestic trees that can grow over 300 feet tall and live over 2000 years! In fact, coastal redwoods are the tallest living species on Earth and the oldest recorded tree lived to more than 2200 years! This area was once a forest of ancient redwoods, but was completely logged between 1840-1860. You may notice that the new redwood trees (only 150 years old) often grow in rough circles around where an ancient tree would have been. That is because redwoods sprout from their stumps or roots. When the original tree dies, the surrounding shoots may develop into mature trees in a circle around the parent. These groups are known as “fairy rings.” Coast Redwoods like a lot of water and survive in the dry summers by capturing fog and mists that drift in from the ocean. You should reach the top (East Ridge Trail) within 40 minutes or so. 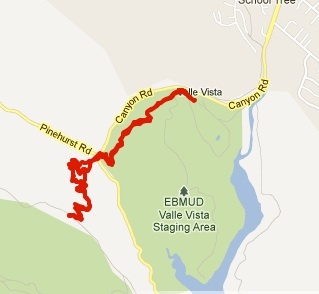 You can extend your hike by going left or right a little ways on East Ridge trail or just turn around and head back. 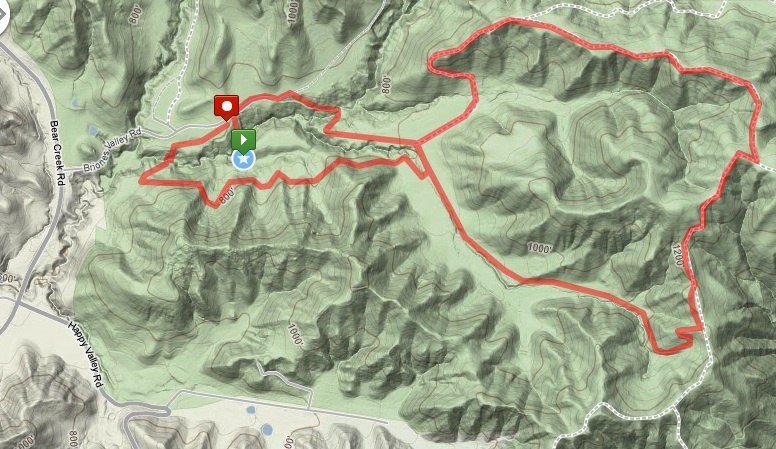 Length: 2.75 miles roundtrip from the beginning of Hunsaker Canyon Road. 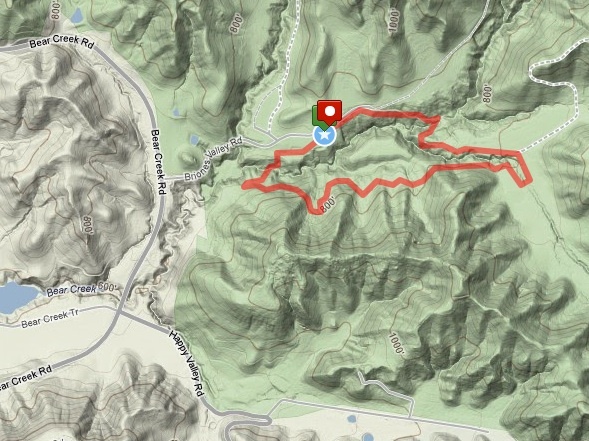 Highlights: A very scenic stroll through Hunsaker Canyon with the first half being on a paved private road and the second half being a dirt road that used to lead to a ranch. The land has been purchased and “land banked” by the East Bay Regional Park District but is not officially open to the public. Enter at your own risk. Directions: Take Silverado Road south through Burton Valley. 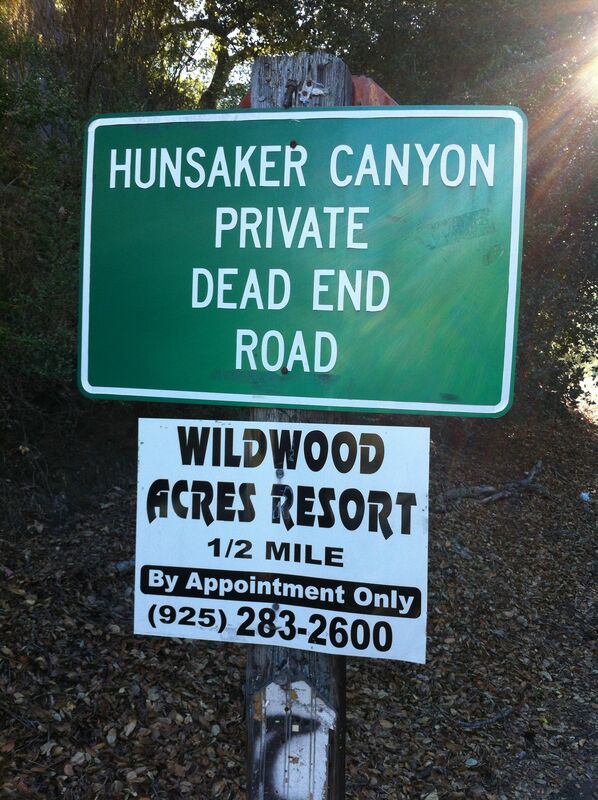 Take a left on Bradbury and park where you see the green “Hunsaker Canyon Private Road” sign (see picture). 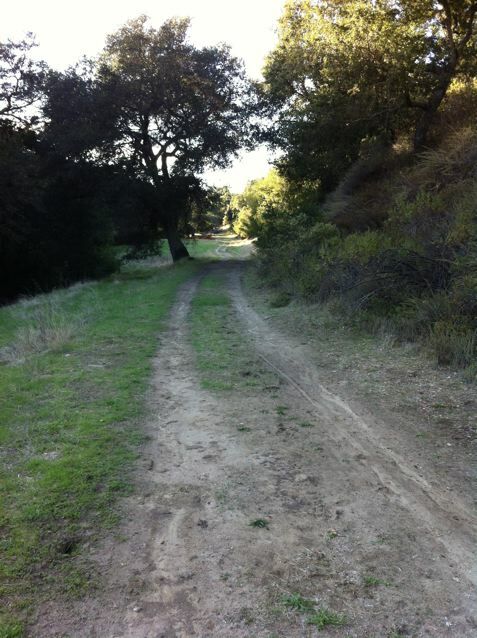 Trailhead: Begin your hike by proceeding on Hunsaker Canyon Road by foot. Special Notes: Since this area has not been prepared for public use and various types of wildlife have been spotted – it is only appropriate for experienced hikers. Hunsaker Canyon Road is a private rural road that leads out of the south-eastern corner of Burton Valley. It is most known as the route to Wildwood Acres Resort (for weddings and large parties) and the location of the 2005 murder of Pamela Vitale by troubled teen Scott Dyleski. It should be known as the entry way to a great hiking area! NOTE: Since it is a private road it is only for residents and their guests and you aren’t supposed to park along it. And make sure not to litter or use any cigarettes along this road. It is an extreme fire danger area with no easy access to water. Hike about 3/4ths of a mile down the road until you see a fire road gate on the left (see picture below). 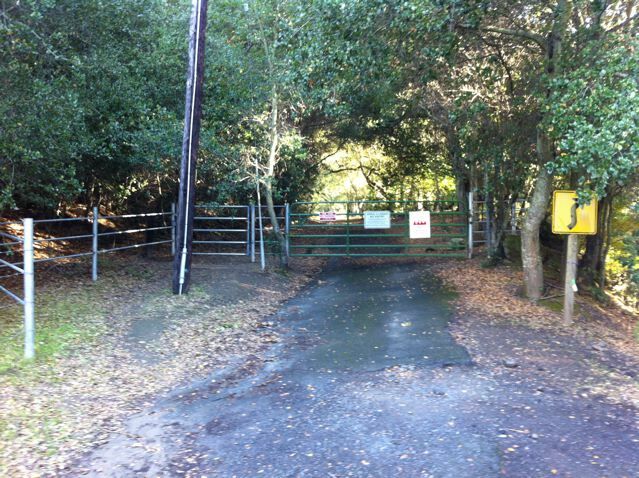 This is the entry way to land owned by the East Bay Regional Park District. Back in 2005, they purchased 1000 acres of land between Roosmoor, Burton Valley, and the Las Trampas Wilderness Area. The area is protected and “land banked” but not officially open to the public. It will expand the Las Trampas Wilderness Area to 5100 acres and protect the entire ridge line. Climb over the gate to enter the open space. A very scenic dirt road meanders through meadows and some trees, adjacent to Grizzly Creek for about 0.7 miles. The road ends at a barn that’s no longer actively being used next to a huge beautiful oak tree. It’s a very picturesque spot! It would be perfect for a picnic, but there is no picnic table. There are various old supplies and fencing laying around so keep an eye on kids. Enjoy the peaceful setting, with no signs or sounds of suburbia, and then head back. You may run into grazing cows in the vicinity of the barn and like most East Bay parks and wilderness areas there may be mountain lions and other wildlife in the area (coyotes, boars, snakes, etc.). But I personally haven’t seen anything except birds and cows. This is a nice hike with a family group with varying ages and abilities because it’s manageable for just about anyone. 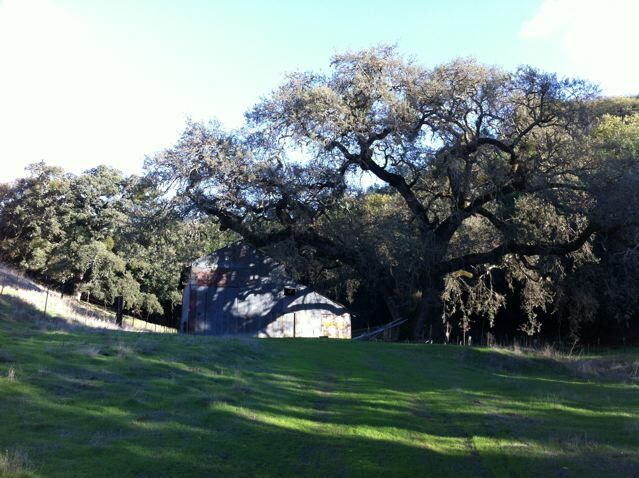 Barn and oak tree at the end of the dirt road. Right before the barn, there is a fire road that veers off to the right. If you are really comfortable in the wilderness, you can take this fire road to Las Trampas Peak which is on the edge of the Las Trampas Regional Wilderness and 1827 feet high. Stay left at the first junction. Follow the fire road which has some pretty steep sections. When you reach the ridge (Las Trampas Ridge Trail), take a right and you’ll arrive at Las Trampas Peak in another 10 minutes or so. You will likely run into cows and maybe see other wildlife. Best to do this hike with at least one other person. It takes about an hour to reach the peak from the gate.